A quiet revolution is sweeping across the West, forging a new approach to conservation in the 21st century. People often wonder, “Where is the New West?” When the question is posed to Laura Huggins, she shares a story. Several months ago while attending a meeting in Billings, Montana, it came to the attention of one cattleman that Huggins was affiliated with American Prairie Reserve. APR, as it is known, has made national headlines for aspiring to build a bison reserve on private and public lands near Montana’s legendary Missouri Breaks. The ultimate goal is to create an interwoven fabric of three million acres where most of the original prairie species that existed at the time of Lewis and Clark again enjoy a home in a U.S. version of the Serengeti. This isn’t a tale that begins or ends with visions of Sagebrush Rebels agitating for a clash with the federal government or conservation groups. A jaw-dropping example of precisely the opposite—at least it was to me when I learned about the outcome—it is a case study instead about how one 21st century cowboy can be won over by incentives. Today, by joining a grassroots effort begun by APR, the rancher and his family are earning more pennies per pound for their prized grassfed beef. They’re embracing more tolerance and appreciation for wildlife—even predators. And they’ve softened hardline cultural attitudes, clearing the way for a more hopeful and inclusionary bigger vision. The innovative initiative Huggins oversees is called Wild Sky beef. Its goal is to promote wildlife-friendly ranching and it follows a for-profit, market-driven model. Not only are ranchers paid more for their cows, but they are rewarded for providing proof if bears, cougars, or other animals pass through their pastures. But how? Scientists with APR install remote, motion-sensing cameras and if the animals are documented on their land, ranchers are paid a bonus. Produce a picture of a black bear: collect $300; a cougar: $200. If grizzlies or wolves arrive in the area, the non-lethal visual bounty will rise even higher. “A rancher can make an extra $12,000 a year for having a pack of wolves,” says Sean Gerrity, APR’s president. With payments such as this, wolves become worth more alive than dead. If ranchers can find a way for wolves to co-exist with their cattle, they could come out much further ahead. APR is exploring other options as well, including range riders and Anatolian bear dogs to use as non-lethal deterrents against predators. Some environmentalists claim regulation is the only way to achieve desired outcomes. But it isn’t regulation that changed the minds of the ranchers working with APR and Wild Sky. Gerrity notes that Wild Sky will pay ranchers more for their beef if their pastures contain burrowing owls. How do they get owls? Burrowing owls only live on prairie dog colonies. The message: Rather than shooting or poisoning prairie dogs, safeguarding the rodents could translate into more money in the bank. Along with bison, prairie dog colonies are associated with the survival of many prairie species, including black-footed ferrets, the most endangered land mammal in America. Gerrity, who proposed the concept of incentives to his staff, became a convert, he says, after traveling to eastern Africa and seeing how well they worked with the cattle-growing Masai in Tanzania to build social tolerance for lions. 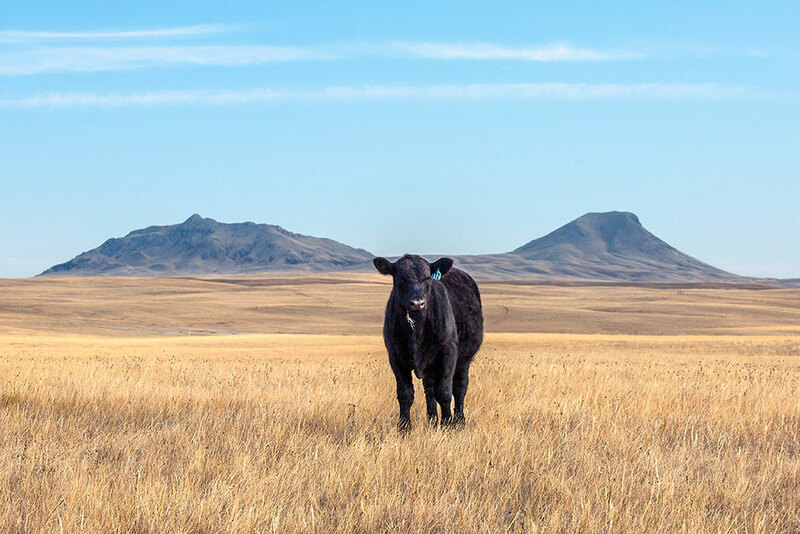 Launched in 2014, Wild Sky sells around 50,000 pounds of beef a month at a premium, shares the higher yields with its participants, and pours part of its profits back into the rewards program. The lesson out in the rural West where ranchers struggle with change everyday is that money talks, especially when it honors hard work, local knowledge, and turns things that would normally be regarded as liabilities—predators and other wildlife competing with cattle for grass—into assets, Huggins says. 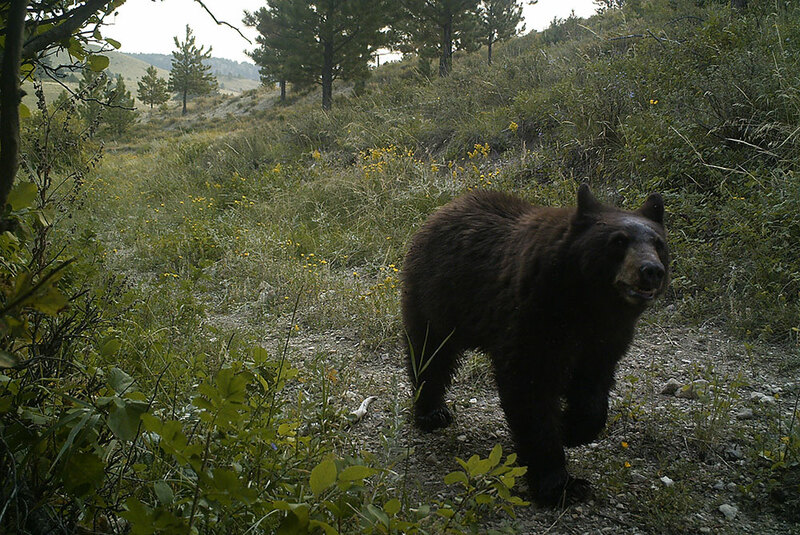 A camera trap captures a black bear passing through an APR/Wild Sky Ranch. Wild Sky is one piece of a quiet revolution marking a sharp contrast to the war of words and ideology raging in many corners of the West. I’ve seen the difference this revolution, which incorporates market principles, is making firsthand. Still, even among some environmentalists, there remains, ironically, an inexplicable, deep-seated antagonism toward private property owners, especially those who have large tracts. When I began writing my book about former media mogul-turned-bison baron Ted Turner a decade ago, a common perception among green activists was that the “Mouth of the South” had secret ambitions to become a neo-aristocrat who would lock up millions of acres of western ranchland, as well as the public wildlife found on it, behind a physical and metaphorical gate. “Terrible Ted,” as his antagonists describe him, represented a real-life Charles Foster Kane, hell-bent on retreating to his own version of Xanadu. Behind the accusations were two premises: first, that the only “good” conservation resulting in natural resource protection is practiced on public lands where federal and state environmental laws rule supreme; and second, wealthy people can’t be trusted to “do the right thing” with their land. One prolific writer, who has been part of the call to eliminate cattle grazing from public lands, informed me that “ranchers with livestock are enemies of the environment” and that “guys like Turner don’t understand the importance of the Public Trust Doctrine” in which wildlife belongs to the people. A worker for Montana’s fish and wildlife agency also ridiculed Turner for having thousands of public elk on his properties, for selling expensive trophy sport hunts of bull elk to generate cash for operating expenses, and for not granting the public unfettered access. What the state game official didn’t acknowledge is that Turner is managing his 113,000-acre Flying D Ranch outside of Bozeman with the health of public wildlife in mind. In addition to providing forage for 5,000 bison he owns, he welcomes more than 1,500 elk and countless other animals. Today, all of the major mammals present 200 years ago can be found there, and many of the game animals spend time on adjacent federal public lands where hunters enjoy the spillover bounty. 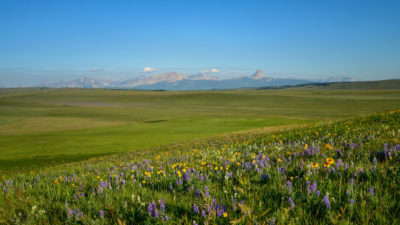 Here, as with APR in central Montana, as everywhere, healthy landscapes are a result of private and public ownership replete with mutual benefits flowing across them. Wildlife migrations, habitat, clean water, open space, and other assets valued by the public do not begin or end at fencelines. Remove conscientious private property owners from participating in the equation of landscape protection and all of the above would not persist as they do today. Of course, various kinds of incentive-laden conservation initiatives have been around for a long time. As a journalist, I’ve waded into prairie potholes located in the back pastures of American and Canadian farmland. 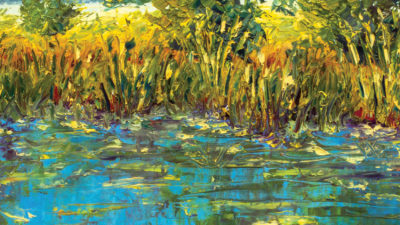 Wetlands are vigorously safeguarded in part because of incentives offered to property owners who maintain habitat for waterfowl. Those ponds, in turn, benefit a wide range of migratory avian species besides those that are hunted. A Wild Sky ranch near Hays, Montana. © Todd Klassy. 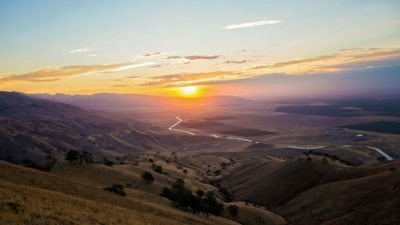 More than a decade ago, Michael Bean of the Environmental Defense Fund and a group of like-minded colleagues published a report titled “The Private Lands Opportunity: The Case for Conservation Incentives.” They touted a message that PERC has been expounding for years. Bean and his ideas are on the ascent. Today he serves as principal deputy secretary for the U.S. Fish and Wildlife Service. He played a crucial role in crafting the recent unprecedented habitat-protection strategy for the greater sage grouse, involving private-public collaboration, being advanced in 11 states as an alternative to listing the species under the Endangered Species Act. In assessing where investment needed to occur, the General Accounting Office found that half of all threatened and endangered species have at least 80 percent of their habitat on non-federal land. Many species have some of their healthiest populations on private land, and some occur only on private land. “Beyond individual species at risk, private land will determine the survival and recovery of many of this country’s formerly expansive and now imperiled ecosystems,” the report stated. Drilling deeper into the realities, Bean and his colleagues delivered this assessment: Less than 10 percent of the tallgrass prairies that once occupied 143 million acres on the eastern plains survives, as does less than 30 percent of intact shortgrass prairie in the western plains where APR is doing its work. Species that rely on the range and shrub lands of southern California will disappear unless at least a few hundred thousand acres of grazing land can be preserved in the face of new development. The bottomland hardwood forests memorialized by Mark Twain and William Faulkner that once covered 25 million acres on the lower Mississippi have vanished from 80 percent of their former range. What serves as a critical but vulnerable stopgap? Private lands. The Western Landowners Alliance, which is made up of many of the largest landowners in the West, including Turner, aspires to stake a positive presence in the New West frontier, says its executive director Lesli Allison, who managed a ranch in New Mexico for 16 years. Since the first meeting in 2011, the alliance has grown to around 120 active members. When totaled, they hold title to more than 10 million acres of private land in 11 western states. That’s equivalent to five Yellowstones. In turn, the alliance has created an expanding network of 650 other landowners, resource scientists, and professional conservationists, all interested in sharing information and insights. 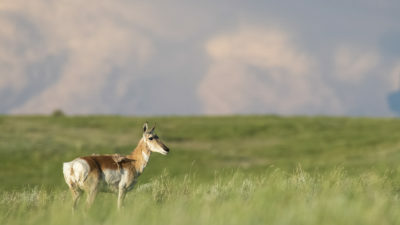 Notably, the bulk of the properties are located in many of the ecologically richest parts of the West, along rivers and between much larger sweeps of public land representing crucial linkages for wildlife migration and habitat connectivity. Managing land, especially when one owns lots of it, she says, is an expensive endeavor. Very few have the resources to scale up cutting-edge conservation efforts. The alliance is using market principles to lead by example on the ground and chart a different course that emanates as far as Capitol Hill and the White House. In particular, she addresses a topic that has arrayed people behind battle lines: regulation. Some environmentalists claim regulation is the only way to achieve desired outcomes. But it isn’t regulation that changed the minds of the ranchers working with APR and Wild Sky. Do the math, she says, on what delivers more positive outcomes. 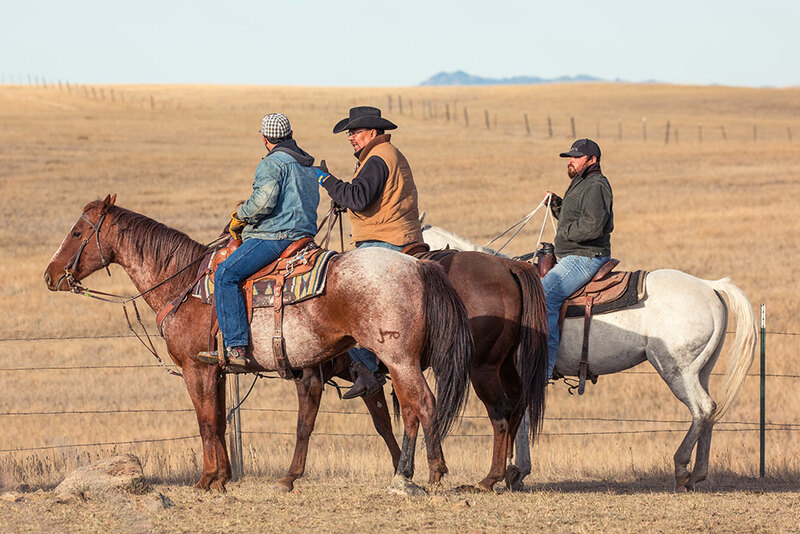 The lesson out in the rural West is that money talks, especially when it honors hard work and local knowledge, and turns things that would normally be regarded as liabilities into assets. “Another way to think of stewardship is ‘voluntary decency’ toward to the land,” Allison says. Voluntary decency has a much greater chance of being widely embraced if it is championed. Incentives are one thing, she adds, but in some respects it really comes down to landowners not being penalized, needlessly burdened with bureaucratic red tape, or hassled for doing the right thing. The mantra that a person should be able to do what one wants with their land, so long as they don’t harm others, has frequently been framed only within the context of protecting property rights to carry out industrial activities; the new emerging 21st century version involves free market environmentalism. Turner is not in any way anti-government, but he believes that the market rewards innovation—something he proved by pioneering 24-hour news with CNN and creating a satellite-enabled super cable TV channel. The private sector acts more quickly, is more efficient, and strives to find cheaper solutions than government does, he says. It’s an approach to stewardship that resonates strongly with Turner’s collaborators in the alliance who, Allison notes, cover every corner of the political spectrum. 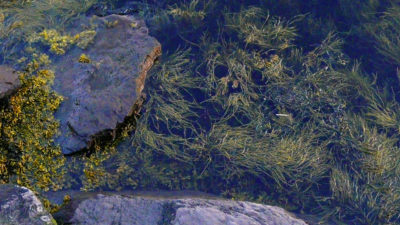 Maybe the most discussed concept among those plying the intersection of private and public land is “ecosystem services.” Consider: billions—if not trillions—of dollars’ worth of valuable ecosystem services flow off of private lands, from clean water vital to healthy fish populations and municipal water supplies that doesn’t have to be cycled through costly treatment plants before it reaches consumers, to forage filling the bellies of public wildlife, carbon captured in well-stewarded forests and rangelands, even scenic views that increase land values on adjacent properties and define the character of communities. Society can’t afford to pay for every asset a private property owner might monetize, but public policies can be promulgated to reward landowners who protect those assets. O’Dell Creek on the Granger Ranch near Ennis, Montana. 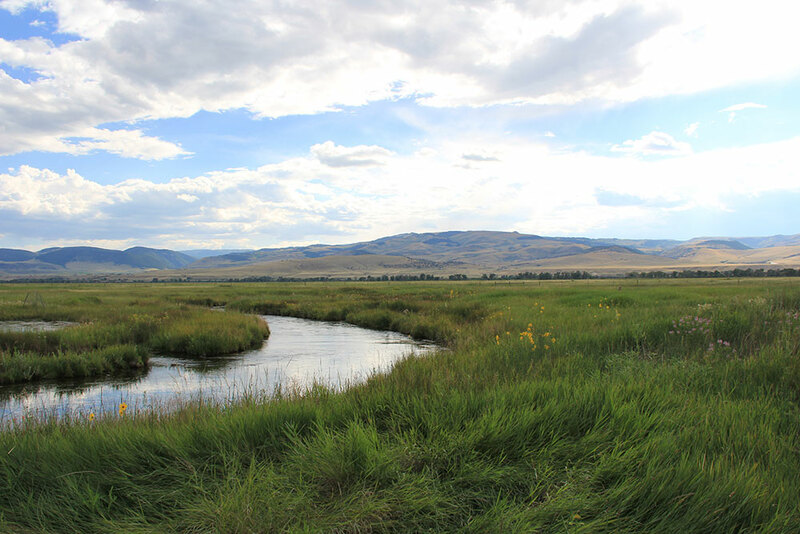 Breathtaking, the Madison River Valley in western Montana is a pastoral idyll. Comprised of old-guard ranching families as well as recreation properties, the common denominator is an appreciation for open space untrammeled by subdivisions. Jeff Laszlo is a fourth-generation owner of the 13,000-acre Granger Ranches and an alliance member. Schooled in New England, he now lives in Montana full-time, wooed away from the city by a hands-on wetland restoration project, located right in the middle of his cattle operation, which has been held up as a national model. Putting the wetlands back in place decades after they were drained has yielded unforeseen dividends. Holding water is a smart strategic business move as insurance against drought and climate change. Laszlo says the greatest satisfaction has been carrying out native fish restoration, seeing rare trumpeter swans finding refuge, and watching an abundance of large animals and avifauna return. The public doesn’t regard ranchers as operating waterworks, but that’s essentially what they do, Laszlo says. Most Americans reside in cities, and few probably realize that 88 percent of the rain and snow in the United States falls first on private land. The quality of the water that gets passed downstream and reaches the taps of millions of people depends on private land stewardship practices. Runoff laden with pollution is the major threat to water quality and the health of aquatic ecosystems. Outside of Alaska, 60 percent of U.S. private land is used to graze cattle or grow crops. Another 27 percent of private land is forest. As Laszlo says, doing right by the bottom line is not mutually exclusive of protecting the environment. Aided by federal grants and support from the Trust for Public Land, the O’Dell Creek project is a striking example of public-private partnerships. Laszlo firmly agrees with something that was mentioned in the Bean report: “Less tangible, though equally important, economic incentives also engender landowner enthusiasm for conservation initiatives. 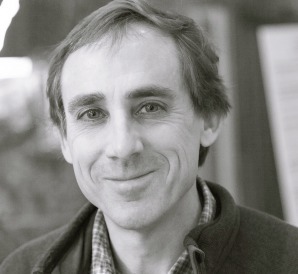 When the public is willing to assist landowners in protecting environmental resources, landowners are subsequently willing to do more themselves.” As Turner has noted time and again, private land conservation that doesn’t pay for itself and passes along environmental protection only as a debt proposition from one generation to the next, doesn’t last. It’s an ethos also embraced by Laszlo. 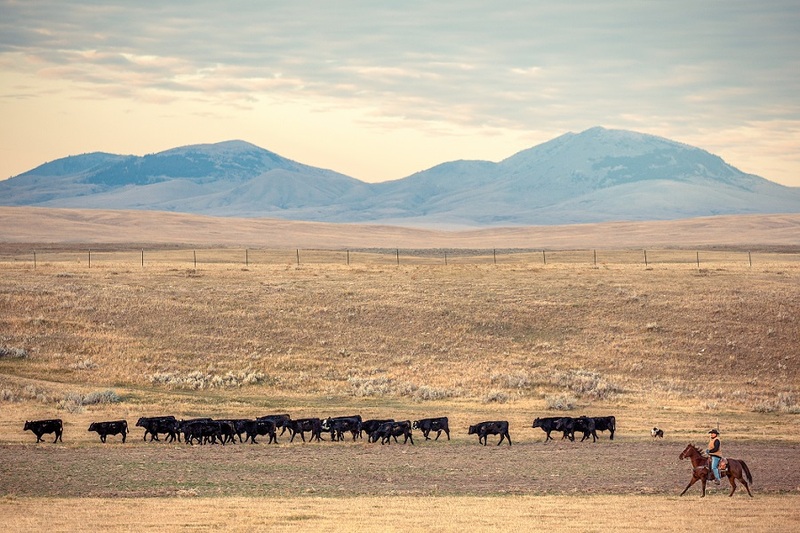 Brian Ulring, manager of the J Bar L Ranch in Montana’s Centennial Valley, is a co-founder with Harlowton, Montana, rancher Zach Jones of Yellowstone Grassfed Beef. Ulring and Jones work only with cattle producers who practice solid stewardship that yields ecological benefits. Ulring is wary of top-down programs implemented afar from Washington D.C. The ability of consumers to vote for stewardship with their wallets is far more effective, he says, than trying to engineer outcomes. He likes keeping things simple instead of exacerbating complexity that only drives up costs. Ulring’s boss is no ordinary landowner. Peggy Dulany is the daughter of David Rockefeller and granddaughter of oil tycoon John D. Rockefeller. The latter’s private land purchases in Jackson Hole led to the expanded boundaries of today’s Grand Teton National Park. Dulany’s convictions as a conservationist are resolute. She supports Ulring’s quest to ensure that her cattle grazing operation, which occurs on 20,000 acres of deeded and leased land, is accomplished with the best interests of wildlife in mind. For part of the year, J Bar L cattle are turned out onto Red Rock Lakes National Wildlife Refuge, a place where bison historically grazed and, in the process, dramatically shaped the grasslands. An advocate for building sustainable human communities on the international scene, Dulany has been an active participant in the local grazing association that has taken great strides to be wildlife friendly, including adopting ranching practices that are friendly to wolves and grizzlies. It’s only happened, Ulring says, because there is a shared sense of stakeholdership and recognition from federal land managers that public wildlife enjoys a place on private land. 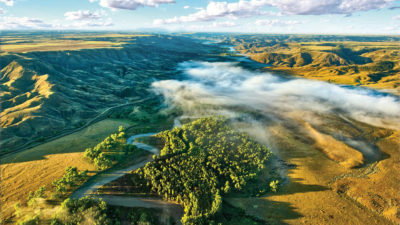 Mike Phillips, director of the Turner Endangered Species Fund and a member of the Montana state legislature, told me that if conservationists want to have real impacts then the big players—the largest landowners in the West—need to be brought into the dialog. Alienating them, by casting aspersions and not recognizing what they bring to the table, is just naïve thinking, he says. Ranchers round up cattle on a Wild Sky ranch. © Todd Klassy. That American Prairie Reserve is located along the flanks of the Missouri Breaks—a stretch of the Upper Missouri River that snakes through broken landscape—is no accident. Karl Bodmer painted scenes of wildlife abundance here in the early 1830s and Charles M. Russell, after whom a national wildlife refuge is named, venerated the elk, wolves, and grizzlies there as the wild frontier came to a close. Historically, the number of prairie elk that wandered through the Missouri Breaks country was between 50,000 and 70,000. Today there are 6,000. APR would like to increase that number to between 25,000 and 30,000, but some ranchers see that many elk as competition for grass and potential destroyers of fenceline. On top of bolstering the elk population, APR would like to support the full diversity of native megafauna, including grizzly bears, cougars, and wolves. Grizzlies and wolves will never reach the Missouri Breaks in large enough numbers to establish a viable population if they have to navigate a gauntlet of bitter hostility, APR’s Gerrity says. Culture doesn’t often change fast but attitudes can be “softened,” by getting people to at least consider an alternative way of thinking that cannot easily be achieved through regulation or mandates, he notes. Todd Wilkinson is a journalist based in Bozeman, Montana. He is the author of Last Stand: Ted Turner’s Quest to Save a Troubled Planet and Grizzlies of Pilgrim Creek, An Intimate Portrait of 399, the Most Famous Bear of Greater Yellowstone.